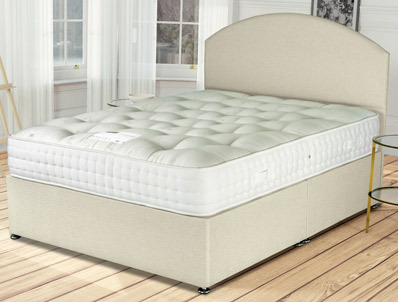 The Siesta Connoisseur is new and offers a comfortable medium feel mattress that is hand tufted and fully turn-able. This nice quality mattress is covered with a viscose damask fabric, and is padded with fillings including sustainable white fibre and British lamb’s wool for super support. The base is a platform top hard base which is available with the option of 2, 2+2 or 4 drawers if required. 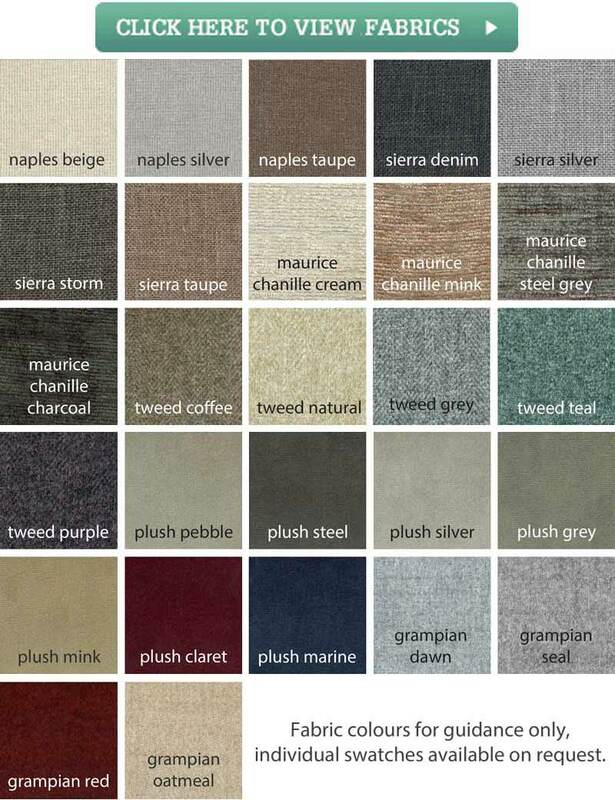 The base comes as standard in 6 fabric colourways or you can upgrade to a premium fabric like chenille teal (pictured). The panelled headboard pictured is not included in the price, but is available to purchase if required.